Wholehearted living is about engaging in our lives from a place of worthiness. It means cultivating the courage, compassion, and connection to wake up in the morning and think 'no matter what gets done and how much left undone; I am enough." It's going to bed at night thinking "Yes, I am imperfect and vulnerable and sometimes afraid, but that doesn't change the truth that I am also brave and worthy of love and belonging." In this special bonus episode, we talk about Rose's main takeaways from the book "Daring Greatly" by Brene' Brown: wholehearted living, cultivating gratitude, and combating perfectionism. Matt adds a therapist's perspective and they discuss simple tips on how to put these concepts into positive action through easy strategies and EFT tapping. 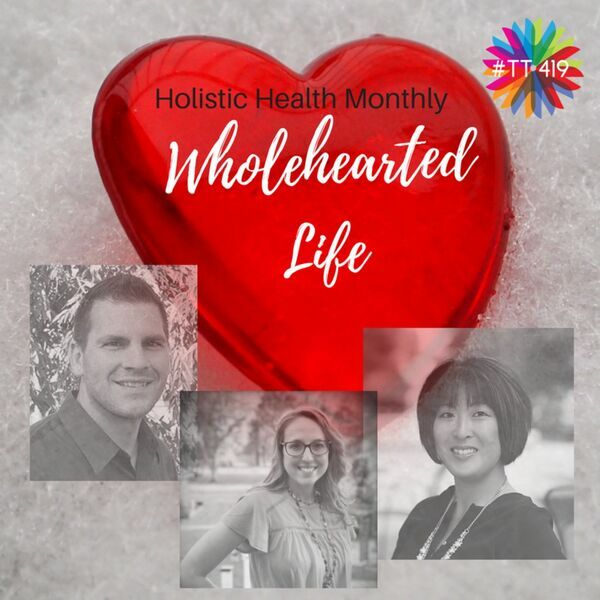 Rose also reads listeners' questions and Dr. Watts' (our favorite Naturopathic doc) advice about lowering A1c levels, easing anxiety & depression, and what blood tests to ask for at our next appointment with our primary care provider. This is a jam-packed episode full of real, effective tips and tricks for having a better mind, body, and spirit! Each month we plan to bring you a new episode just like this. We hope you like it. Please let us know if you found this episode helpful by leaving a review wherever you listen to podcasts. Also, share this with a friend who may benefit from this information. Special thanks to Dr. Maleigha Watts from Toledo Naturopathic. Look for Toledo Naturopathic on Facebook!